Trying to do some study’s off of classic masters. 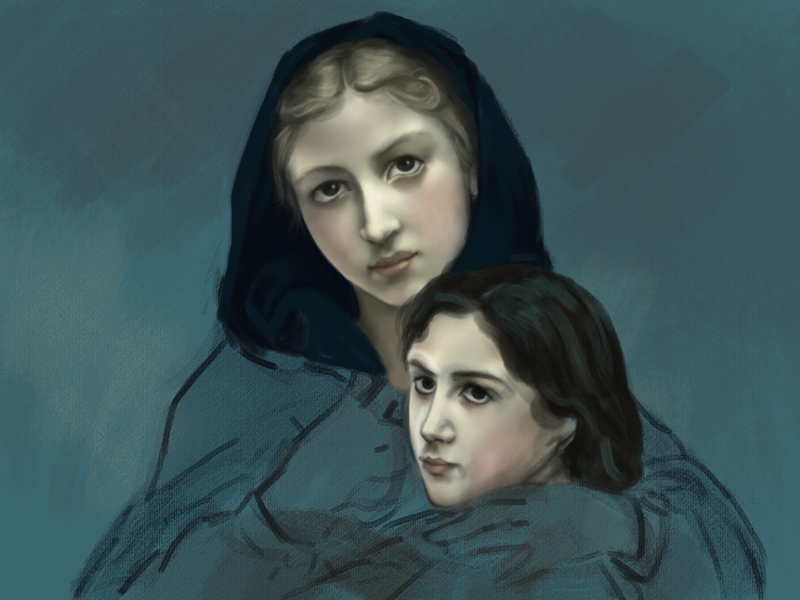 In this case, Bouguereau (one of my favs). Trying to work on speed, trying to eyeball color (no color picker allowed! UGH! ), working everything on one layer, trying to figuring out the choices they made on lighting… and learning a new set of custom brushes. I meant to only work on it for an hour, but got kind of into it and went for a couple/few more.